Rajputana Customs has built an exceptional portfolio over the years. The custom house based in Jaipur, Rajasthan is known for their impeccable work around Royal Enfields. 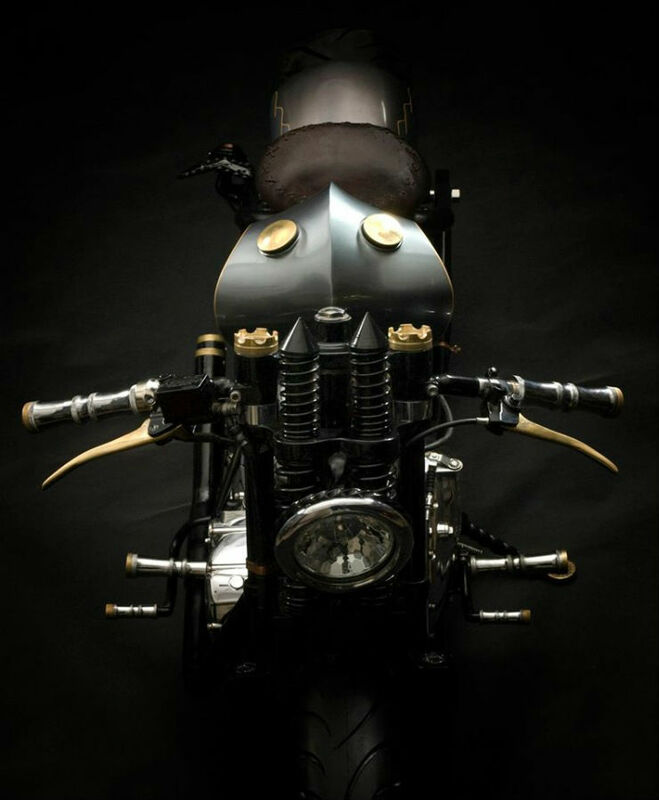 While they also work on other motorcycle brands, they’re best known for their custom-builds based on Royal Enfields. 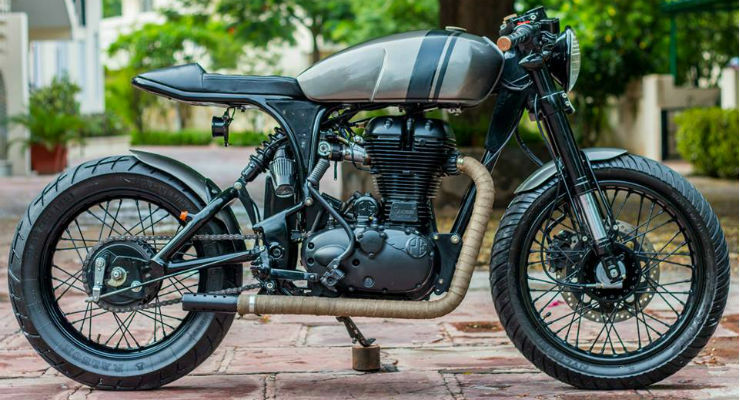 Here are 10 gorgeously customizations based on Royal Enfield motorcycles. 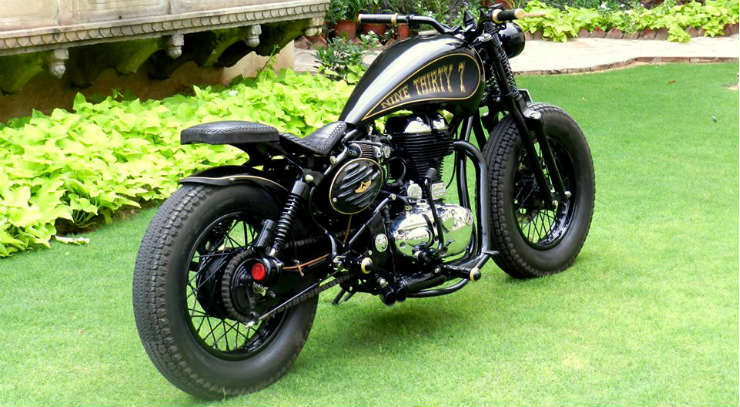 The custom motorcycle is based on Royal Enfield UCE 350. The motorcycle gets stripped down to bare essentials and get rebuilt to take this final form. The customization keeps the stock frame. The model is based on the classic days of springers and street bobs. 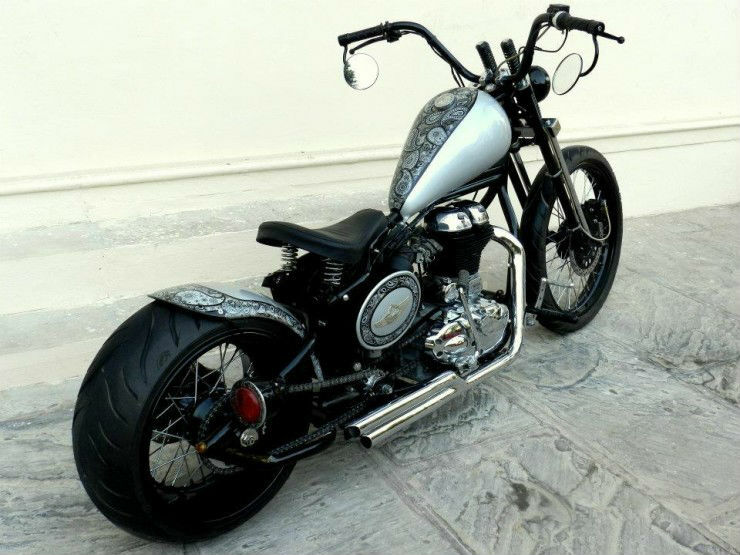 Rajputana Customs have paid extreme attention to the details in the motorcycle. There are no gear levers on the handlebars. They are simple, naked metal bars. The motorcycle gets suicide-style gear shifter. The wires are neatly tucked to extend the retro feel. Royal Enfield also offers a cafe racer from its factory in the form of Continental GT but this Classic 500 based cafe racer looks special. There is a customised tank with a simple design. 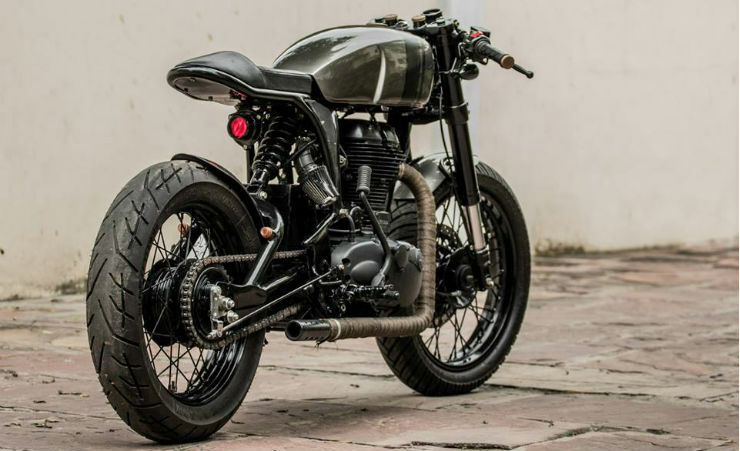 The Classic Cafe Racer gets minimalistic design making it look very lean. The seat has been chopped to make space only for the rider. The fenders have been chopped too. There is USD suspension at the front and a mono-shock at the rear. The engine gets a little extra power from the aftermarket air filter and custom exhaust. The cafe racer gets unique rear tail lamp and indicator position. 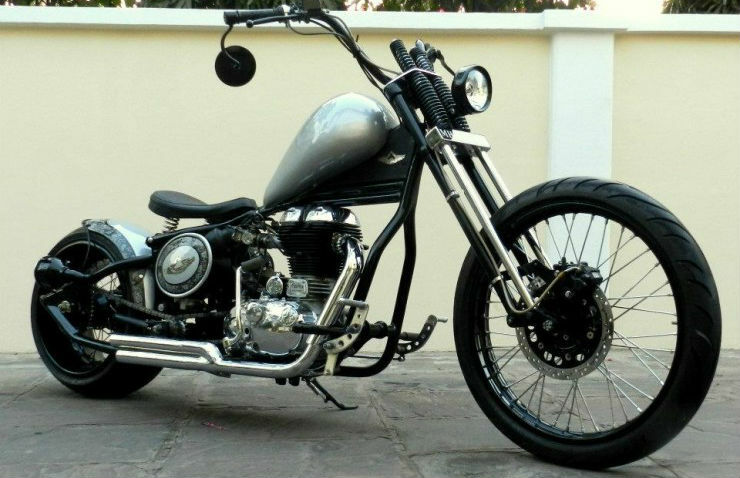 The Gulail is a bobber based on a Royal Enfield Classic 500. The Gulail looks classy and very aggressive. The name translates into “catapult” in English and the motorcycle took a lot of time to take shape after owner’s brief of making it a bobber, lightweight and very aggressive. 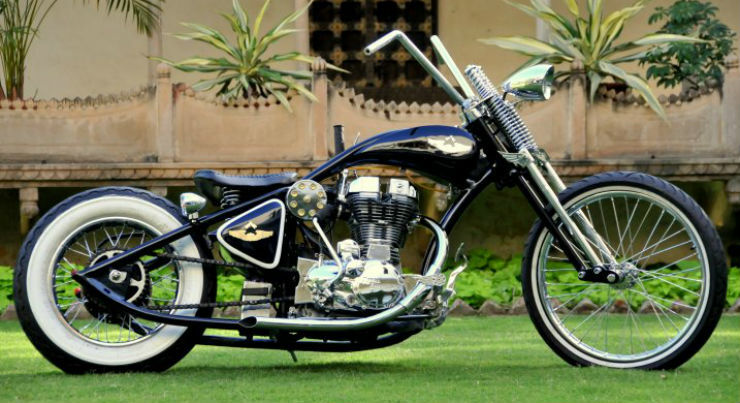 The Gulail is completely handmade except for the engine, rims and the tyres. The motorcycle gets handmade short tail, front springer suspension, customised headlamps, fuel tank, fenders and electric housing. There is a hand stitched leather seat too. Gulail also gets extremely carefully crafted levers and handlebar end weights. The 9 Thirty-Seven is an extremely well-crafted job. The motorcycle is based on Royal Enfield Classic 500. The motorcycle get teardrop shaped fuel tank. There is custom hand-made springer suspension at the front with a minimalistic headlamp. The customised bike also gets fatter, bigger profile tyres on the spoke wheels. There is space for two, with hand stitched leather seat for the rider and the pillion. Aghori is one of the simplest looking modification job based on Classic 500. It was one of the first builds by the modification house. 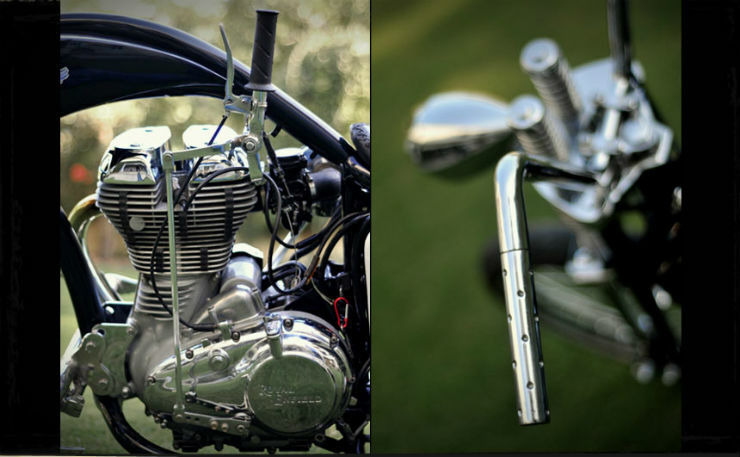 The Aghori features customised body panels, a wide-spread tall handlebar. 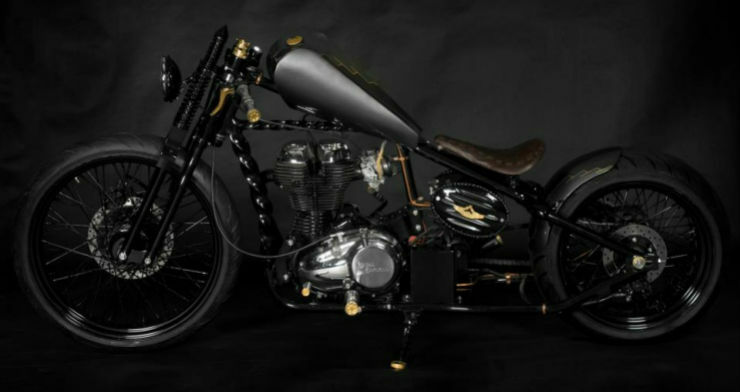 The customised bobber gets a single seat. There is a spring based suspension at the front and a mono-shock at the rear. The motorcycle also gets a customised 1-into-2 exhaust system. The front fender is missing while the rear fender has been chopped to expose the fatter tyre.